Below you fill find all funeral homes and cemeteries in or near Waynesburg. Waynesburg is also known as: Greene County / Waynesburg borough. Their current mayor is Mayor Blair Zimmerman. Zip codes in the city: 15370. Some of the notable people born here have been: Greg Hopkins (american football player), Josh Koscheck (mixed martial artist), and Coleman Scott (athlete). 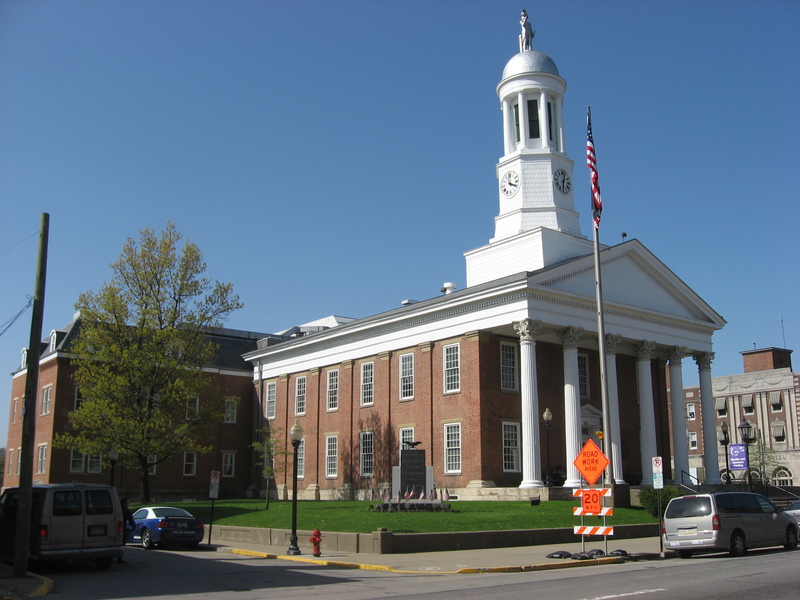 Waynesburg is a borough in and the county seat of Greene County, Pennsylvania, United States, located about 60 miles (97 km) southwest of Pittsburgh. Its population was 4,184 at the 2000 census.The region around Waynesburg is underlaid with several layers of coking coal, including the Pittsburgh No. 8 seam, the Waynesburg seam, and the Sewickley (Mapletown) seam. This area is also rich with coalbed methane, which is being developed from the underlying Marcellus Shale, the largest domestic natural gas reserve. Early in the 20th Century, four large gas compressing stations and a steam shovel factory were located in Waynesburg.Waynesburg is named for General "Mad" Anthony Wayne, one of the top lieutenants of George Washington during the Revolutionary War (1776–81). Waynesburg also the location of the Waynesburg University and the Greene County Airport. It was reported by Orange County Register on February 27th, 2019 that James Franklin "J B" Baker perished in Santa Ana, California. Baker was 93 years old and was born in Waynesburg, PA. Send flowers to express your sympathy and honor James Franklin "J B"'s life. It was noted on September 30th, 2018 that Sue S King died in Clearwater, Florida. King was 91 years old and was born in Waynesburg, PA. Send flowers to express your sorrow and honor Sue S's life. It was revealed by The Villages Daily Sun on August 28th, 2017 that Ralph W "Terry" Tennant passed away in Summerfield, Florida. Tennant was 73 years old and was born in Waynesburg, PA. Send flowers to share your condolences and honor Ralph W "Terry"'s life. It was written by The Advocate on December 30th, 2016 that Sue Murdock (Gooden) passed away in Newark, Ohio. Ms. Murdock was 68 years old and was born in Waynesburg, PA. Send flowers to express your sympathy and honor Sue's life. It was reported on August 28th, 2016 that Roger Stafford passed away in Cleveland, Ohio. Stafford was 62 years old and was born in Waynesburg, PA. Send flowers to share your condolences and honor Roger's life. It was revealed on July 31st, 2016 that James Bryan Blair died in Charlotte, North Carolina. Blair was 72 years old and was born in Waynesburg, PA. Send flowers to share your condolences and honor James Bryan's life. It was written on March 15th, 2015 that William D Johns passed on in Minneapolis, Minnesota. Johns was 89 years old and was born in Waynesburg, PA. Send flowers to share your condolences and honor William D's life. It was revealed on December 14th, 2014 that Evelyn M Motzer (Dunham) died in Waynesburg, Pennsylvania. Ms. Motzer was 72 years old and was born in Meadland, WV. Send flowers to share your condolences and honor Evelyn M's life. It was noted by Johnstown Tribune-Democrat on July 14th, 2014 that Ruth H Reed (Miller) died in Waynesburg, Pennsylvania. Ms. Reed was 89 years old. Send flowers to share your condolences and honor Ruth H's life. It was reported by The Sentinel on July 9th, 2014 that Samuel H Harvey passed away in Waynesburg, Pennsylvania. Harvey was 99 years old. Send flowers to express your sympathy and honor Samuel H's life. Waynesburg is a borough in and the county seat of Greene County, Pennsylvania County, Pennsylvania, United States, 60 miles (96 km) southwest of Pittsburgh. The population was 4,184 at the United States Census, 2000 census. . . .
Milliken and Throckmorton Funeral Home provides Professional service and family oriented, Pre-arranged funeral planning to Waynesburg, PA. Call 724-627-7505. Listing all funeral homes in Waynesburg, Pennsylvania so you can easily send flowers to any location (same day delivery) or find any funeral service. Listing all cemeteries in Waynesburg, Pennsylvania so you can easily send flowers to any location (same day delivery) or find any funeral service. We work with local florists and flower shops to offer same day delivery. You will find budget sympathy flowers in Waynesburg here. Our funeral flowers are cheap in price but not in value.